A season is a part of a year. In most areas of the world there are four seasons in a year: spring, summer, autumn and winter. 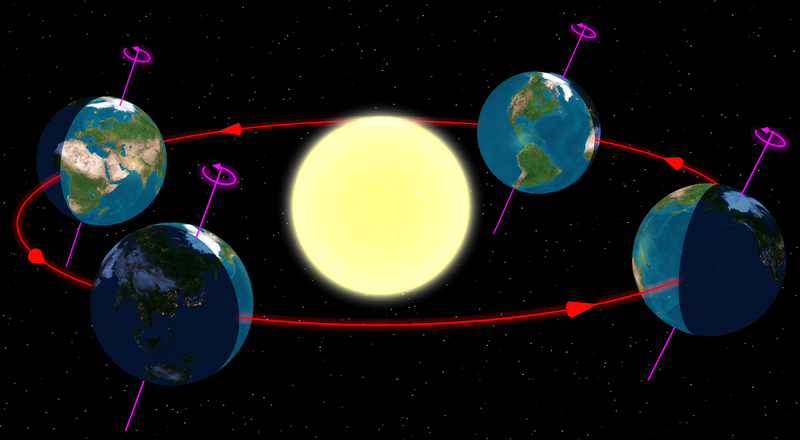 Seasons are there because of the earth being tilted on its axis as it moves around the sun. 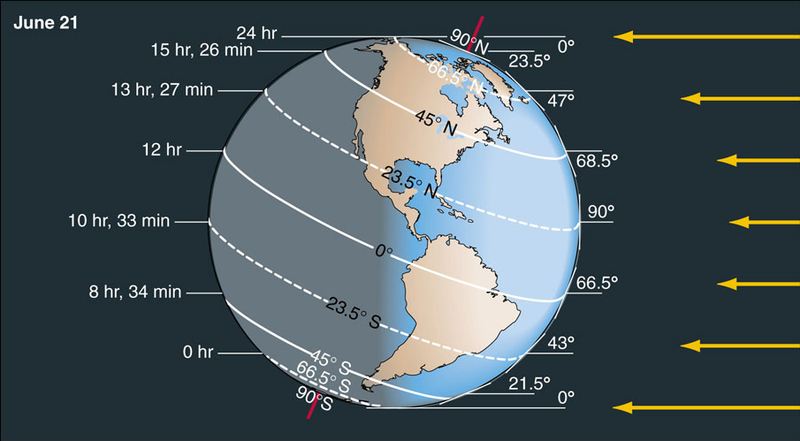 During the different seasons that we have, the earth will lean towards the sun or away from the sun. 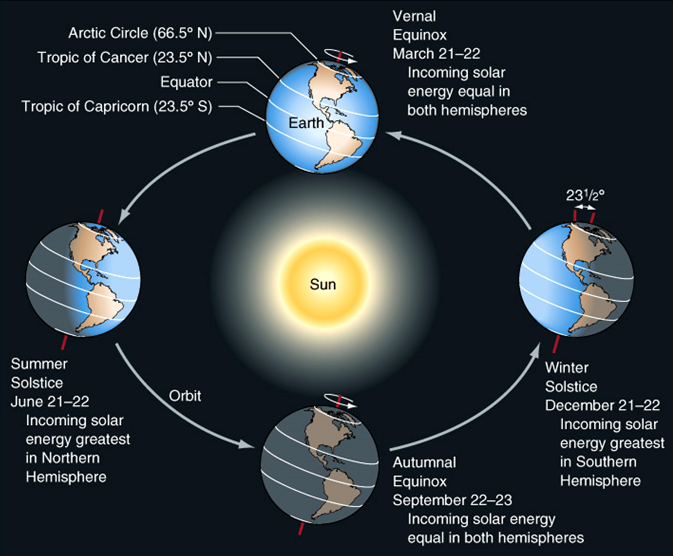 These seasons are a reflection of how solar energy is distributed to the Earth based on its axis of rotation as well as its shape. 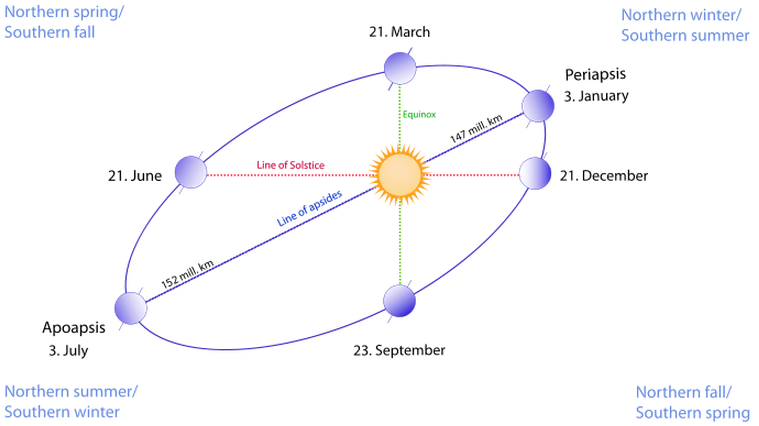 The four seasons is caused by the Earth’s 23.5 degree tilt from the line perpendicular to its orbit plane (toward the sun during summer). 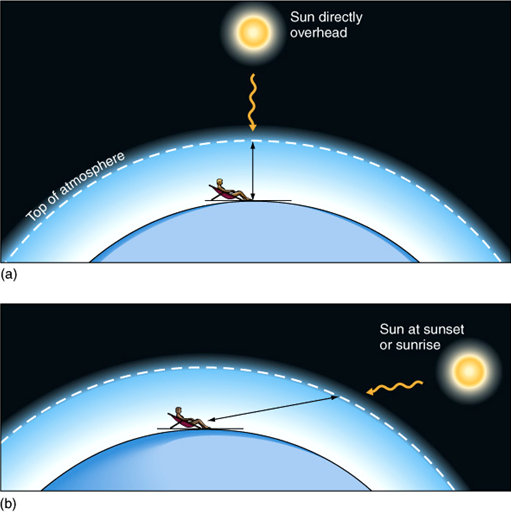 Thus, at any given time during summer or winter, one part of the planet is more directly exposed to the rays of the Sun (see the next figure). 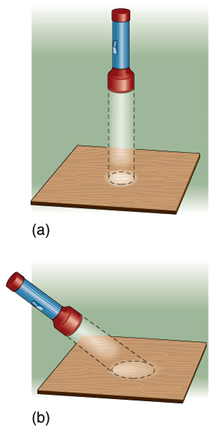 The increase in surface area over which radiation is distributed in response to a decrease of solar angle. The greater the spreading, the less intense the radiation (and vice versa).